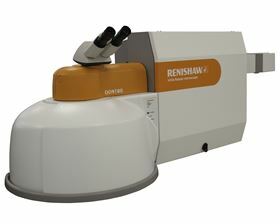 The new inVia Qontor is Renishaw’s most advanced Raman microscope. Building on the market-leading inVia Reflex, the inVia Qontor adds a new dimension to the performance and ease of use for which inVia is renowned. The inVia Qontor sees the addition of Renishaw’s latest innovation, LiveTrack™ focus tracking technology, which enables users to analyse samples with uneven, curved or rough surfaces. Optimum focus is maintained in real time during data collection and white light video viewing. This removes the need for time consuming manual focusing, pre-scanning or sample preparation. The inVia Qontor, equipped with LiveTrack, enables the acquisition of accurate and reproducible spectra from samples with extensive topographic variations. Because a sample’s topography no longer limits Raman imaging capability, LiveTrack opens up the analysis of a whole new range of samples and applications. With LiveTrack, focusing is dynamic. LiveTrack provides continuous feedback to the sample stage which adjusts to follow the height of the sample. This ensures the laser maintains focus during data collection and when manually moving the sample during white light video viewing. Optimum focus is maintained across uneven, sloping or dynamic samples, limited only by the maximum travel of the stage. The inVia Qontor enables the analysis of samples that were previously impractical to study, or would have required extensive sample preparation. For example, uneven geological samples that normally require sectioning and polishing can now be analysed without any sample preparation. The inVia range of microscopes is trusted worldwide to deliver outstanding performance and reliable results, for even the most challenging experiments. The inVia Qontor Raman microscope’s cutting-edge technology reduces overall experiment times and makes analysing even the most complex samples easy.